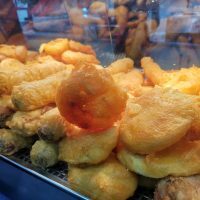 It’s Boxing Day! No one is really sure of the etymology of Boxing Day. As technology and gadgetry geeks, here at Coolsmartphone we like boxes of all shapes and sizes. Even better if said boxes contain something cool which we got a bargain on, usually ordered online from somewhere. The deal that caught our eye today, Boxing Day 2016, is the one on Amazon for the Huawei Watch. Huawei. Huawei Watch. The Huawei Watch would be the one I’d want. If I were shopping around for a new smartwatch. 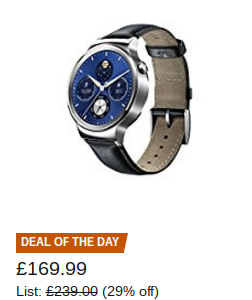 Well, the Huawei Watch could be yours for £169.99 from Amazon today, and if you’re a Prime member that also has free next day delivery. 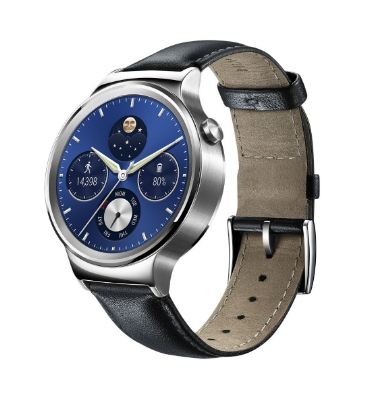 The Huawei Watch is going to be one of the first Android Wear devices to get Android Wear 2.0 when it is released early in 2017, so that sweetens the long term deal on the device: it won’t become obsolete too quickly. Having played around with the device, I can say that the sapphire covered OLED display is gorgeous. It’s definitely a shiny device. If you are looking for an Android Wear device at the moment this is a no-brainer. Interested in taking advantage of this deal? Looking to start off 2017 with a round screen encased in sapphire crystal on your wrist? Head over to Amazon to get this deal while it lasts. At time of writing there are only 18 hours left on the deal.